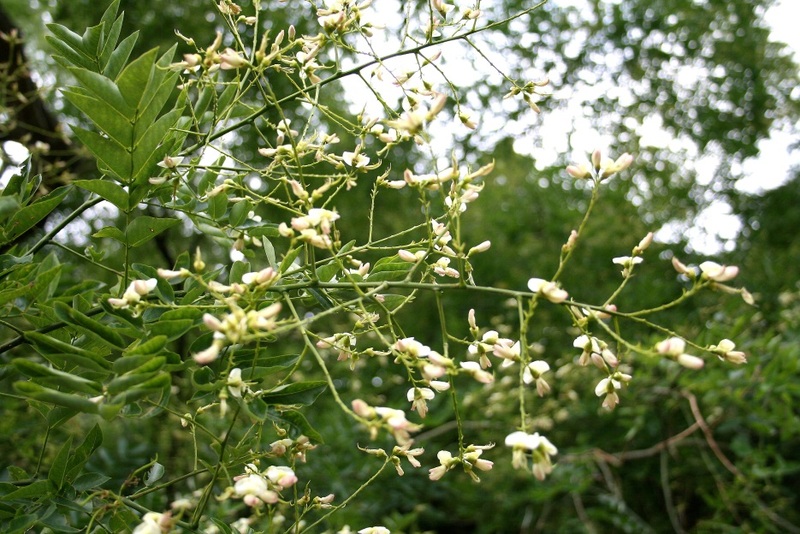 Styphnolobium japonicum is a tree to 25 m tall, saplings forming a deep, thick taproot, young stems smooth, deep green, with prominent grayish corky lenticels, older bark gray, deeply fissured similar to black locust, buds blackish, small appressed, fitting into “v” shaped leaf scar. 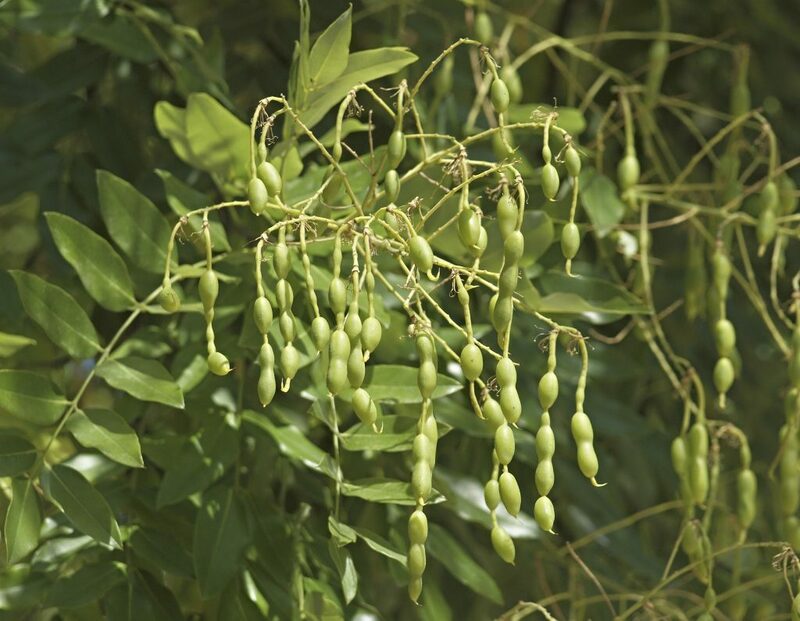 Leaves alternate, pinnate, to 25 cm long, leaflets 7-17, stalked, egg-shaped, to 5 cm long, 2.5 cm wide, tip pointed base rounded, dull dark green above, waxy-pale below and finely hairy. Dipartimento di Scienze della Vita, Università di Trieste – Progetto Dryades – Picture by Andrea Moro – France, – Image licensed under a Creative Commons Attribution Non Commercial Share-Alike 3.0 License (Accessed 3/2017). 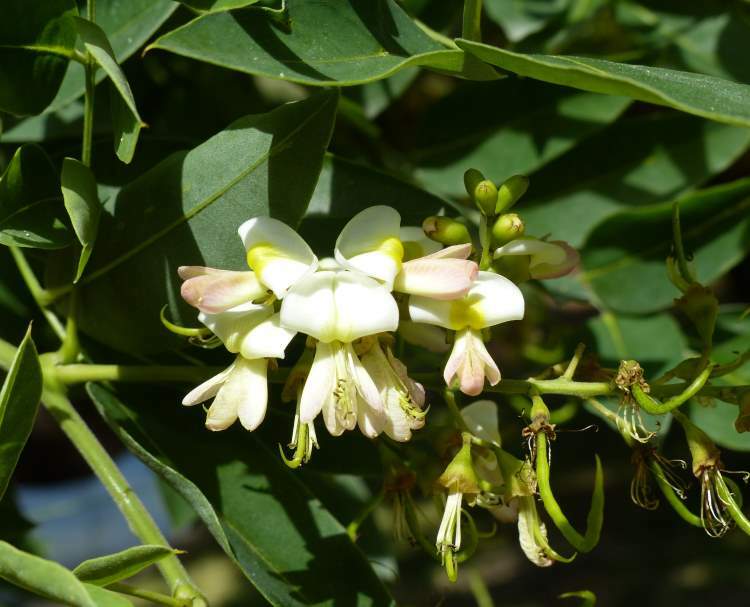 Flowers creamy-white, to 1.5 cm long, pea flower-shaped, somewhat fragrant, in loose, branched clusters to 30 cm long at ends of branches; blooms July-Aug.
Fruit pods to 8 cm long, green changing to yellow with 1-6 seeds, Oct., persistent into or through winter. Habitat: Street or landscape tree, infrequently escaping into natural areas.